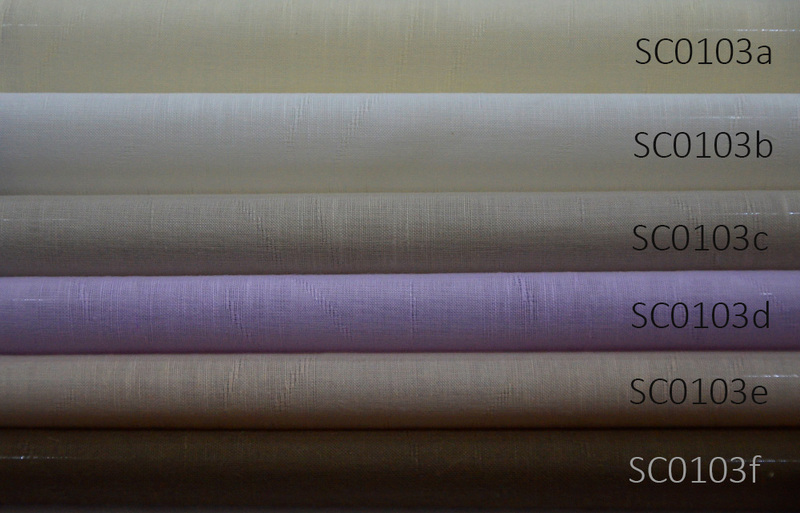 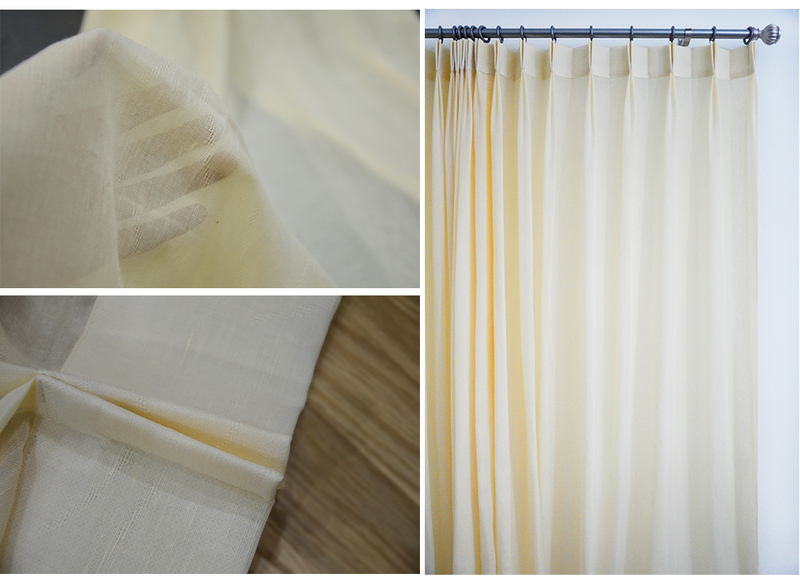 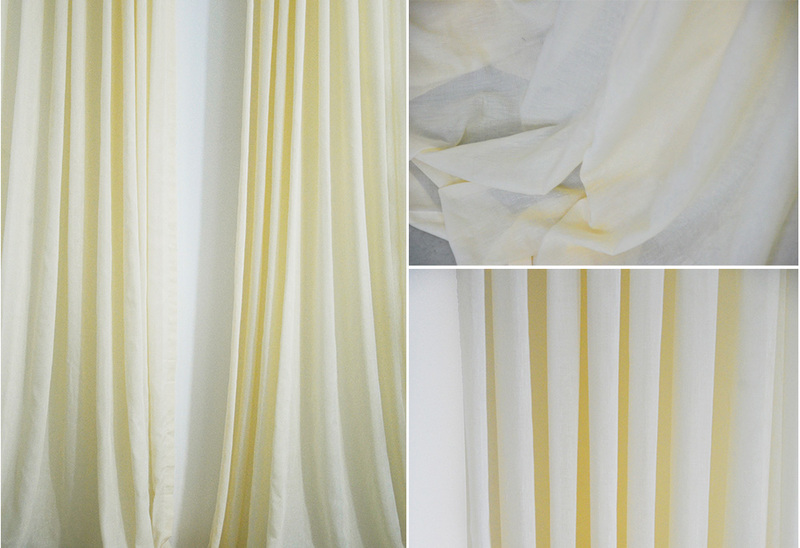 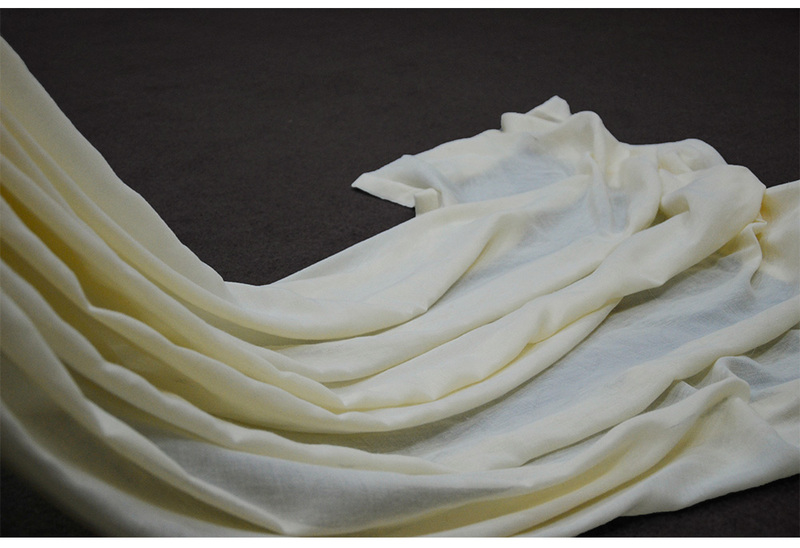 Soft and smooth sheer curtains designed with light decorative patterns. 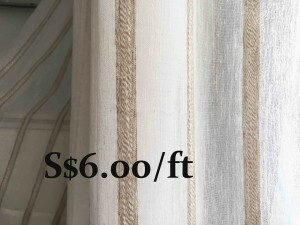 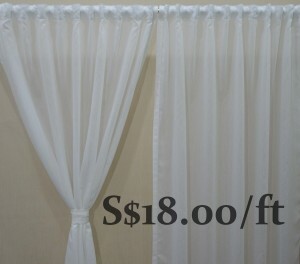 This sheer curtain design consists of 6 different colours. 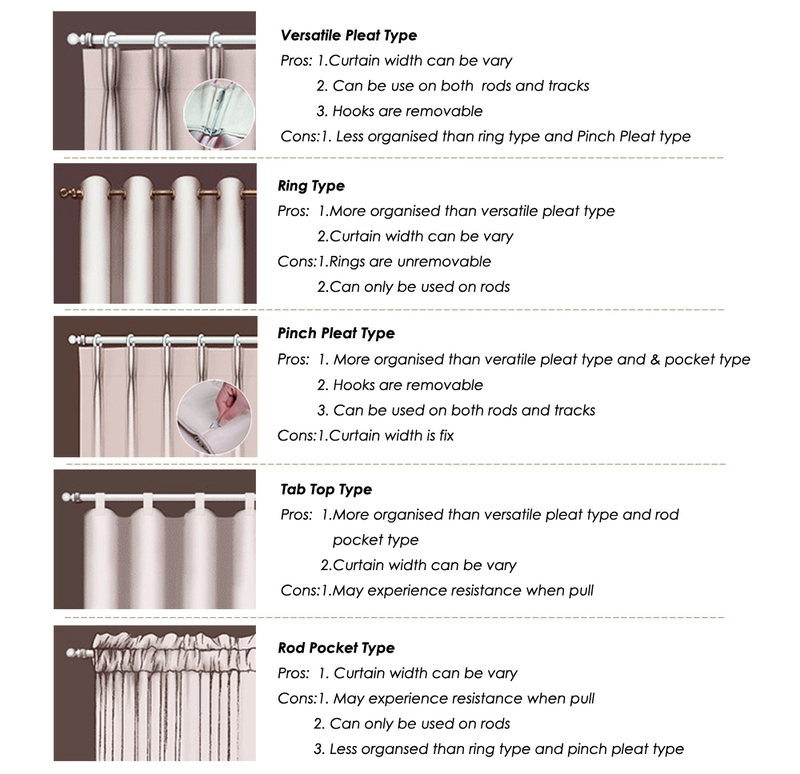 Ming's Living provides the following 5 curtain head designs for your selection.